Friday Forum - Should I Quit? - Need a New Gig? 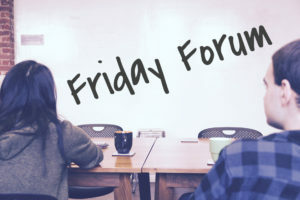 Happy Friday and welcome to the Friday Forum! Every Friday we take a question submitted by one of our users and have our professionals field it and provide advice. We then encourage members of the Need a New Gig community to comment below and give their take! I think that it is safe to say that many of us have been in a similar situation. Sometimes you get to the point where you are in dire need of a change and it gets harder every day. With that being said, it is definitely important to step back and think before you quit. This is probably the first thing that comes to mind when anyone is considering leaving their job before they have a new one. Most people are ready to turn in their notice, and then come to the realization that they will not be able to pay their bills. This is definitely something that you need to consider, because if you are out of work for awhile, you could be in an even worse situation! You also need to remember that sometimes the hiring process can be timely, depending on the company. Even if you quickly land an interview, it may take them weeks (or longer) to make a decision. Once a decision is made, you will typically have to wait for the background check/drug screen results until you are cleared to start. Finally, your first paycheck will not arrive until their next pay period, which can be anywhere from one week to one month. Healthcare has become something else that you really need to think about. If your employer was covering your healthcare, this is another expense that you will need to incur in the form of COBRA if you are unemployed longer than 30 days. If you decide not to pay for healthcare, you will face a penalty on your taxes that could be even more. You also need to think about if you have any good leads for new employment. As mentioned above, sometimes the hiring process can take some time. If you do not have any leads, you will need to start from scratch. Chances are that it could take anywhere from 1-3 months to find a new position and maybe even longer. Many professionals believe that it is not wise to quit without a job, strictly for the sake of explaining gaps in employment. Some employers may think that the gaps in employment are a red flag. If you do not have a good explanation, it could make your search more difficult. We mentioned thinking about your paycheck above, but you also need to consider your annual compensation. If you quit your job, your annual compensation will drop down to $0 per year. Some employers may use this to their advantage when it comes to offering you a job. I’ve seen employers offer less than what candidates were making at their previous position, simply because they were currently making nothing. Aside from all of the reasons to stay put in your current situation, there are a few scenarios where quitting is a good idea. If your situation is unsafe, then you need to get out. If you are being mistreated or forced out of a job and can prove it, you may still qualify for unemployment benefits. Another scenario where it may be best to quit is if your job is directly affecting your health. You may want to check to see if your company offers medical leave through FMLA, based on a working condition. This could buy you some time to find a new opportunity. If you have the ability to do consulting work or have a side business, it may be easier to cut ties with your current employer. This situation will still provide income while you look for a new job, and it can also be added to your resume to close any gaps in employment. Overall, we agree with the old saying of “Don’t quit your job until you have a new one.” As silly as it may sound, sometimes it is better to be safe than sorry. Take a few days off. Use one as a mental health day to get yourself feeling better. Then use the other to dive into your job search! This entry was posted in Uncategorized and tagged Job Search, new job, quit, Should I quit. Bookmark the permalink.